If you’re one of the many gamers that has been waiting for a new entry into the Fire Emblem series to arrive (I know a bunch of us here at Nisute sure are) then this week might be a good week for you. Intelligent Systems has released a new entry, named Fire Emblem if of the series on the Japanese Nintendo eShop for 3DS this week, and a nice announcement trailer to go with it. No word has come out when this game will be released in the west, and to be honest, I’ve been pondering whether or not to fork over the roughly €38 to get my hands on this little gem. Hit the video above if you’re excited for Fire Emblem if to come to the west! and be sure to like our Facebook page if you’d like us to fork over the cash to do a review of the Japanese version. 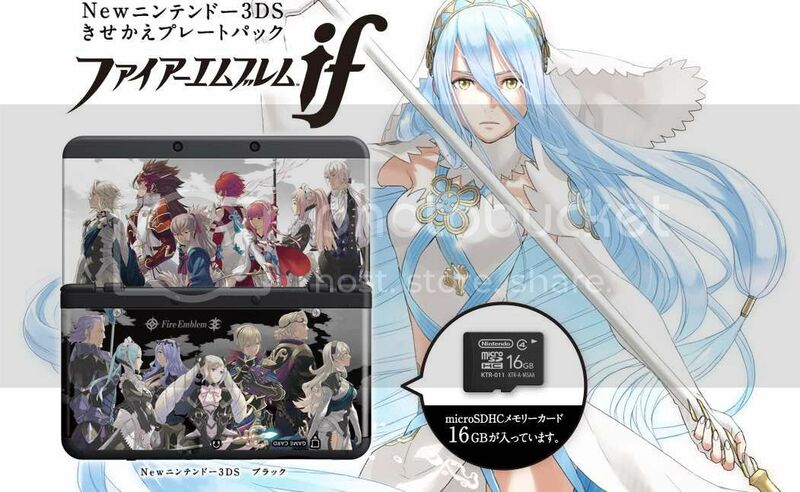 Nintendo is also preparing to release a special Fire Emblem if bundle that includes a New Nintendo 3DS with matching Fire Emblem if plates and 16GB MicroSD card on the 25th of June. Here’s to hoping those plates will join the game in coming over to the west when Nintendo decides to release it here as well.